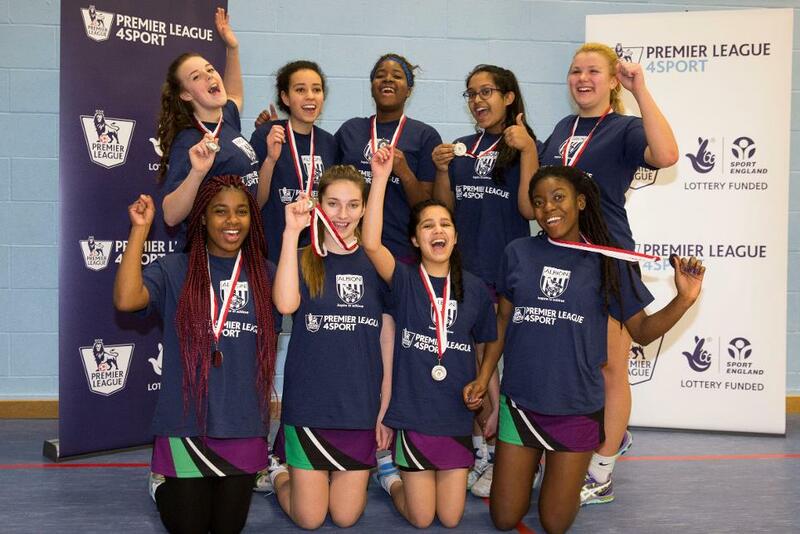 Former England captain and current Surrey Storm goal attack Pamela Cookey played her part in inspiring a new generation of players when she attended the recent Premier League 4 Sport North-West netball tournament in Liverpool. The Under-16 girls' event, hosted by Liverpool FC Foundation, featured teams representing 10 Premier League and Football League clubs, allowing them to display the skills they have learnt in a competitive environment while being involved in the PL4Sport scheme. And Cookey, who won 114 caps for England, made it a day to remember for the players as she took part in warm-up drills and exercises as well as passing on her experiences of getting involved in the sport in informal Q&A sessions with the participants. "It was great to see so many teams and so many of them so passionate their netball," said Cookey, who won Commonwealth Games bronze medals with England in 2006 and 2010. "This programme does huge amounts for women's sport and netball because it gives them an avenue in which to play. What we have lacked previously are these opportunities and when you get more and more people involved, the higher it pushes the standard. "There's also the social aspect of it, that team camaraderie and being able to do something you love with other people with the same mindset, that's great for empowering women and girls." West Bromwich Albion came out on top after a competitive day of netball, the team from George Salter Academy beating Wigan Athletic 10-6 in the final, while Manchester City beat Liverpool 5-3 in the third/fourth place play-off. "The standard was really good," Cookey added. "There was some really high-level stuff and the players were only 14/15 years old. To see that, and to see the standard of the West Brom team that won, I was really impressed." To recognise the hard-work of the teams, some of whom have only recently taken up the sport, the competitors then visited the Liverpool Echo Arena to watch the first of the three-match series between England and Australia. The winning West Brom team received a special honour at the test match as they were presented with their winner's trophy on the court at half-time in front of 5,000 fans. "One of my first live events was a netball game and to be able to go there and see the internationals and the people at the top of their game, playing at that level in a sport that you are starting to play and trying to get good at, does wonders for you," Cookey said. "You can believe it more because it is there in front of you. When I was that age I thought, 'I want to be one of them'." 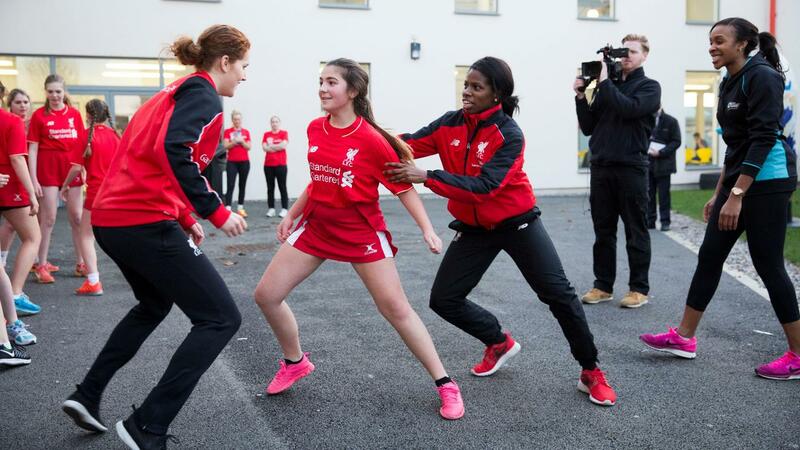 Cookey was not the only star helping to encourage the participants, with Liverpool Ladies players Danielle Gibbons and Satara Murray also joining in the training routines. 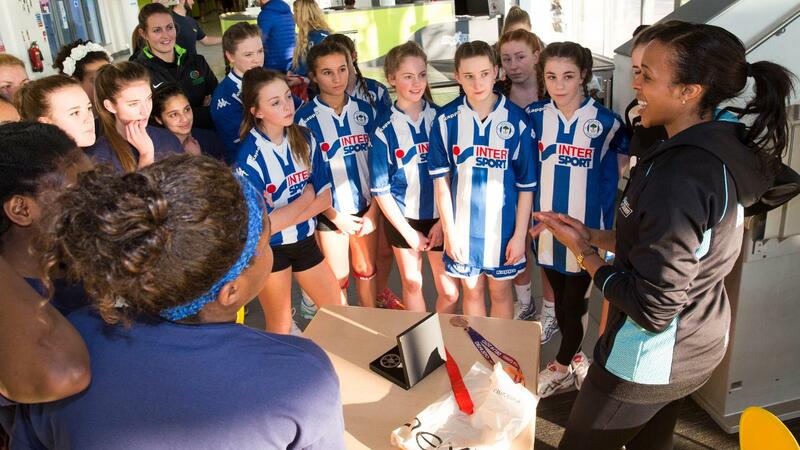 "It's fantastic to see girls taking part in sport and physical activity and really enjoying themselves," said Murray. The Premier League 4 Sport programme, which is run in partnership with Sport England, uses the appeal of football and the expertise of football clubs to give young people the opportunity to take up a variety of sports which in turn encourages them to develop a sporting habit for life. Using clubs as satellite sporting hubs, young people can take part in 12 sports, including judo, golf, tennis and athletics. Since netball was introduced to the scheme in 2011, over 5,000 young people have been engaged in the sport in weekly sessions. "It gives you goose bumps seeing the next generation coming through," Cookey said. 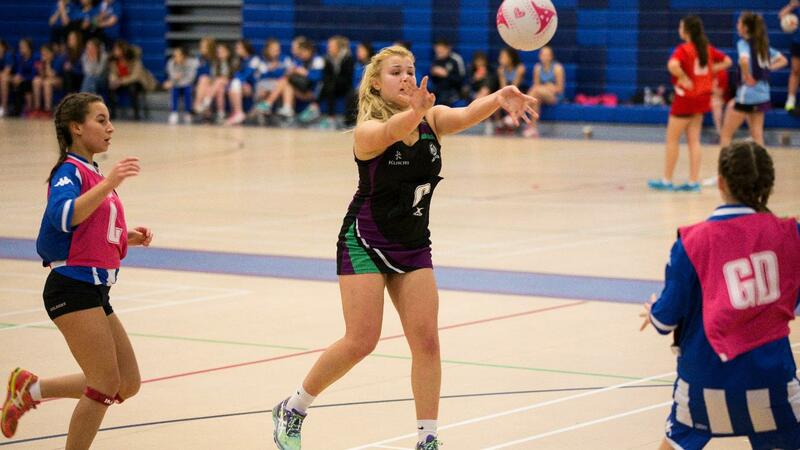 "For the likes of the Premier League to think that netball can have a positive impact like football is amazing. "One of the teams had come together in the last six months, they were really new to the game but they were all so excited and passionate about being involved with it. An event like this will definitely inspire the players." What is Premier League 4 Sport?